At the beginning of this week I was in Greenwich, London for the first time in my life. 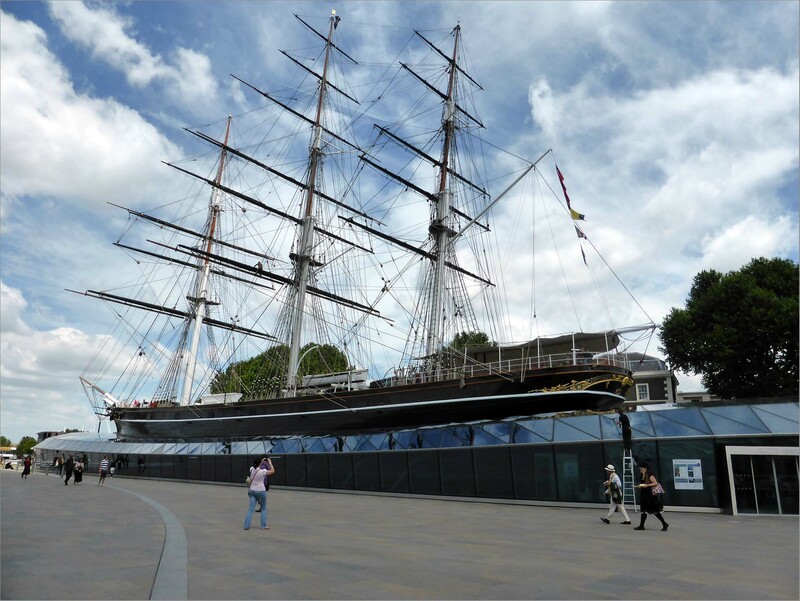 On Monday I travelled up the Thames from Embankment to Greenwich Pier by Clipper (another first) and stood on the decks of the Cutty Sark. On Tuesday I spent the day at the University of Greenwich’s APT2014 Conference, the reason for the trip. 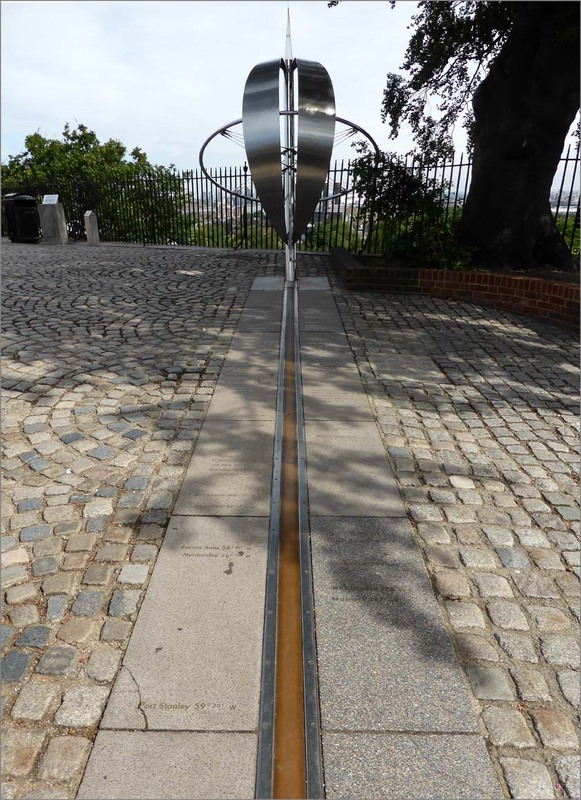 On Wednesday I stood on the Meridian Line at the Royal Observatory. A key question asked in the main exhibition room of Flamsteed House at the Observatory is ‘Where am I? This related to how you can work out your exact location on the open seas, by knowing how to fix your latitude and longitude positions. 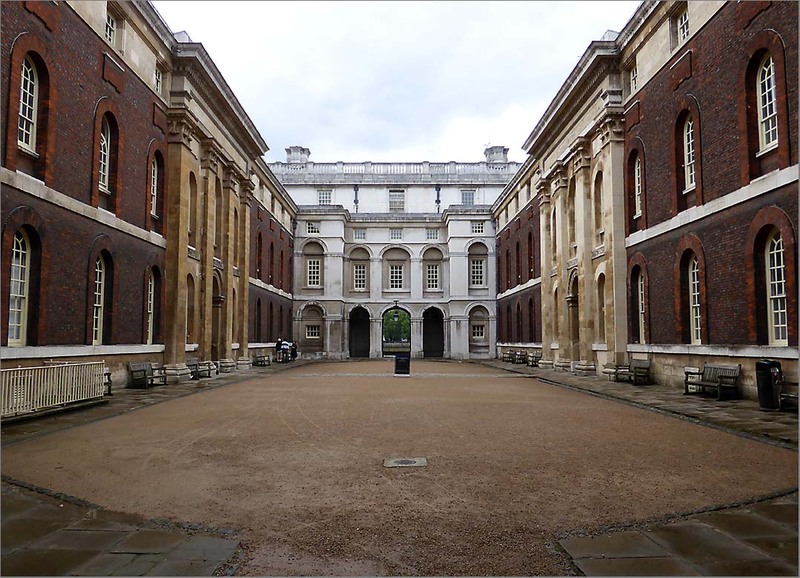 But ‘Where am I?’ seems such an important and relevant question for an educator and although I didn’t visit Flamsteed House until the day after the Greenwich conference, I found myself constantly wondering where I am in relation to the discussions that were held during the conference. This was the first in a series of 3 talks that Stephen is giving in London this week. He started his second talk, Beyond Institutions: Personal Learning in a Networked World – given to the NetworkEDGE conference at the London School of Economics on Wed 10th July – with the words: If you feel unfulfilled at the end of this talk, it’s because it doesn’t really have a beginning and doesn’t really have an end, i.e. it’s the middle talk in a series of three. I have only listened to the recording of this second talk. I did feel somewhat unfulfilled after the first talk. It’s not that I didn’t enjoy the conference – I thoroughly enjoyed it, attended some interesting sessions and talked to some great people, but at the end of the day I felt that a lot of questions had been raised but not many answers had been found. These questions were around what we mean by ‘open’, what we mean by ‘connected learning’ and what do universities understand about open, connected learning – not only what do they understand, but what are they doing about it, what are they becoming as a result of open learning in a networked world – and are they becoming what we would hope they become? As Stephen said, ‘Institutions are what we make them’. This thinking about unanswered questions made me wonder whether the idea of flipped classrooms, which was mentioned in the opening talk by the Vice Chancellor, should be applied to conferences. Should we engage with the ideas to be presented by the keynote speaker before the conference, and present a discussion paper/workshop as a result of that – so that the key questions can be discussed. 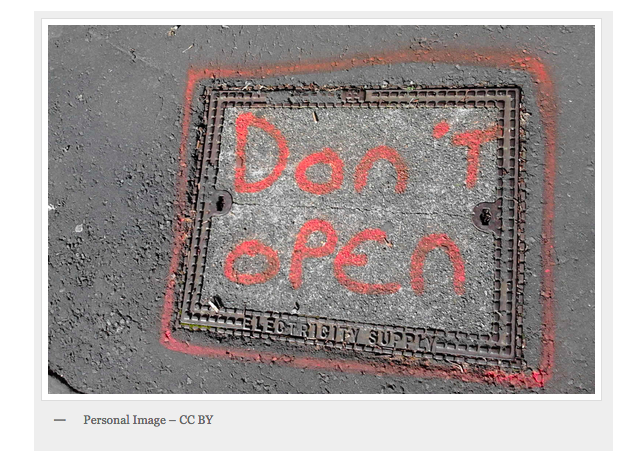 ‘Open’ means open in all senses, particularly in the sense of open sharing of thought processes, and should be the default position in Universities. Free and open access is not enough. But Universities are resistant to openness in the sense of open sharing, and content providers do not want people to have free and open access. The promise of open resources has not materialized. Open access makes a massive economic difference to users, but cost IS the problem for universities because universities see online learning in terms of money making. The issue is not finding innovative ways of teaching, but innovative ways of learning. The bulk of MOOCs are created in the image of traditional courses, but this was never the intention of the original cMOOCs. Change in Universities is slow – too slow. None of these points came as a surprise. None of them is unfamiliar, but challenging Universities to become more ‘open’ can be a risky business for employees and those that do can land themselves in trouble, as Stephen pointed out in his presentation. (See slide 29 for an example). In general people seem to be more aware of the risks than the benefits. A new lecturer at the conference said that ‘openness’ is a risk for someone like her who is new in the job and trying to establish a reputation. Sheila McNeill, who was a panel member at the end of the day, urged this lecturer to be brave and just go for it. I wonder whether being strategic about openness is more important than being brave. Sharing openly doesn’t mean that you have to ‘bare your soul’ – there are other ways of sharing. A more impersonal and less risky approach is reporting. If open sharing doesn’t come easily then share what you have discovered to be useful, rather than your own work or personal thoughts. As Stephen said in his second talk to the London School of Economics, every learner is different and reacts to each learning scenario differently. The Deputy Pro-Vice Chancellor, also on the panel, seemed to recognize the difficulties when she said that open sharing in the form of lecturers recording their lectures and openly sharing them, is a risk to the University’s reputation – but she also acknowledged that a major issue for an institution is the need for cultural change. As she put it – universities will have to wait for some staff to shift or die before this culture change can be achieved. Stephen asked for a show of hands for who was tweeting the conference proceedings and a show of hands for who had recorded their conference presentation. Some were tweeting, but only one person had recorded their presentation. The person sitting next to me during the final panel session was inspired and enthusiastic about what she had heard during the day, but said that she had never taught online and had never taken an online course. It was all new for her. For me, the concerns raised about openness should not be brushed aside. Questions of whether an academic’s or an institution’s reputation can be damaged by openness need to be discussed. The benefits or otherwise of openness need to be articulated. For me, it is not about whether you tweet at a conference or record your presentation and upload your Slideshare; all these can help to model a spirit of openness, but it’s more about trying to understand why openness is necessary and how we can all be supported in understanding and doing this. Ultimately, isn’t it about personal values and educational philosophies? So I came away from Greenwich feeling that many questions had been raised, but that they were left hanging. I would have been interested in more discussion about whether there is agreement about the changes that Stephen suggested Universities need to make and if so how they will make these changes. But I have now listened to Stephen’s second talk to the London School of Economics, which helped me to understand the context of the first talk. Inge de Waard has blogged about it here: Fabulous ideas: economics, innovation, #education and I hope to return with another blog post. A big thank you to Simon Walker, Gillian Keyms and colleagues for organizing a thought-provoking event, and to all at Greenwich, particularly the students, who were so helpful, friendly and welcoming. ……. all of which to me seem to imply that there is some confusion about the difference between a community of practice and a network. The question was also raised about where/what is the overlap between connectivism and networked learning – and there is also confusion there. So an interesting discussion – with lots of references being posted (great for those doing a PhD or other research) – but not a lot of clarity about what networked learning is. I think it would help to say what it is not – and that might help to distinguish it from communities of practice (although Wenger et al have already published about this) and connectivism. I think Stephen Downes and George Siemens are clearer about what connectivism is and is not. Next week- Oct 10th – sees the start of the Networked Learning Conference Hot Seats. These were very worthwhile to take part in last time. See http://networkedlearningconference.ning.com/ for further details.